“Soul Treats” for your Body, Mind & Heart! To learn more about these offerings, click on the blue link titles in each product box. A one-hour Akashic Record Reading. Via phone/skype or in person (your choice). PLEASE NOTE: A recording of our call will be emailed to you. A one-hour psychic, intuitive reading. Via phone/skype or in person (your choice). PLEASE NOTE: A recording of our call will be emailed to you. Let's go deeper into our work together! Package of three - a $675 value for $562.50. Receive half of one session FREE! Recordings of our calls will be emailed to you. Let's go deeper into our work together! A package of six - a $1350 value for $1125.00. Receive one full session FREE! Recordings of our calls will be emailed to you. Package of three sessions - a $450 value for $299. Save 38%! Recordings of our calls will be emailed to you. Package of six sessions - a $900 value for $535. Save 40%! Recordings of our calls will be emailed to you. Connect soul to soul and communicate with someone who has passed. A recording of our call will be emailed to you. Clear your home, land, or workplace in this remote session with Susann. 5 hours training in mp3 format. Instant download. Supplemental support material is included. Take your intuition to a whole new level with these advanced course tools for everyday clarity. MP3 Instant Download. A course for those who are already intuitive, especially in relationship to working with others in a healing capacity. MP3 Instant Download. Catalyze your confidence and courage and sense of soulful security in your inherent gifts, soul strengths and purpose. Engage with the deepest, most PROFOUND RESOURCES of your soul. Includes 21 days of life-changing content and growth. Includes 5 session recordings, daily meditations and activations. 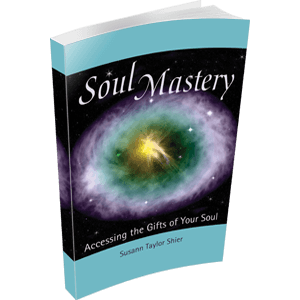 Experience deep and abiding connection to your intuitive guidance to activate SOULFUL SUCCESS. Includes 5 session recordings, daily meditations and exercises. Reunite with your sacred nature and expand into the largeness of your soul’s wealth. 45 Minute MP3 Instant Download. As featured on DilyOM. 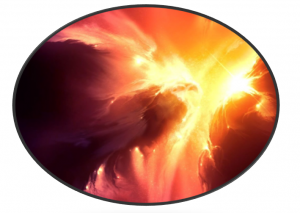 4 hours of healing material to help you move forward with love and understanding. MP3 Instant Download. Special package price when you purchase these popular items together! Books are in PDF format and instant download. The Return Home From Separation. Softcover, 182 pages. The Return Home From Separation. PDF, 182 pages (instant download).